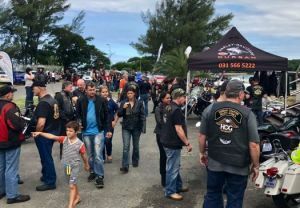 H-D® Durban's First Annual 4 Point Ride! 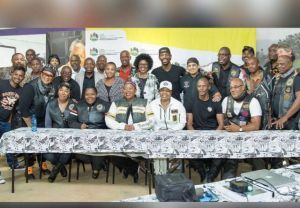 On Sunday 31st March 2019, we hosted our first Annual 4 Point Ride with four checkpoints set out in and around the greater Durban area. A fantastic day was had by all! Thank you to every attendee and every sponsor that contributed to the success of this year's Garage Party! 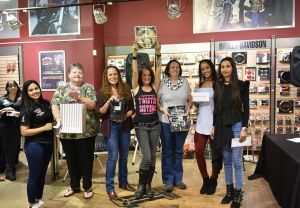 From phenomenal guest speakers to the Dyno machine, fabulous goodie bags and prizes plus more, this year's event left us impatiently waiting for the next one! 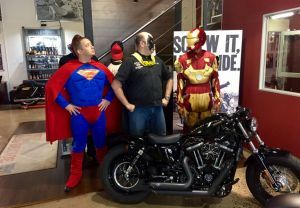 Ducktails on Softails® Open House! 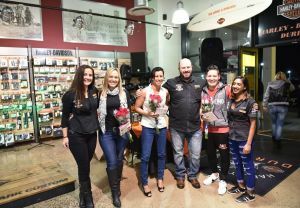 H-D® Durban's First Ladies-Only Garage Party! We hosted our first ever ladies-only Garage Party on Saturday 5th August '17! There were fabulous guest speakers, demonstrations PLUS a Dyno machine and much more. Thank you to everyone involved in making it such a success! We look forward to the next one. We had an incredible time hosting a demo outreach from Cubana in Richard's Bay on the weekend of 25th and 26th March '17. Along with US Truck Sales, we set up a display with demo bikes and helmets to give customers a taste of what this iconic brand is all about! Thank you very to our hosts and to our fellow sponsors for an awesome weekend. Lastly, to everyone that visited us and took rides, thank you very much for spending your precious time with us! Reach for a Dream Foundation: Making Samkelo's Dream Come True! On the morning of 28 February, we had another incredible opportunity from the Reach for a Dream Foundation to assist in making a child's dream come true! 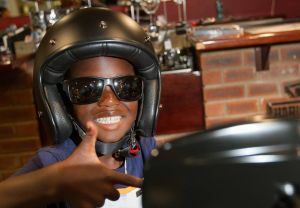 Samkelo is a 5 year old boy who was diagnosed with cancer of the brain at the early age of 3. 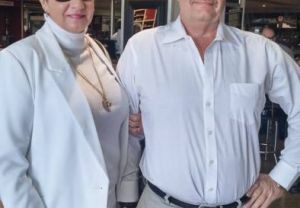 He lives in Pietermaritzburg with his mother and father and has two other siblings. On Saturday 25th February 2017, we rode to Jack Rabbits for the Metro FM Awards after-party with some of our awesome customers. 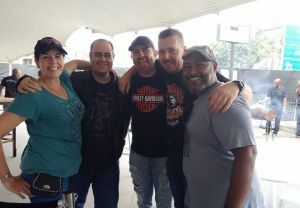 We had an absolute blast and look forward to the next ride! On Friday 24th February 2017, our sales consultant, AD, had the privilege of joining “The Famous Ride” – an initiative by Zakes Bantwini. 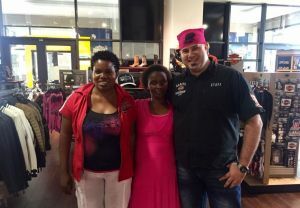 Zakes is a legend in the local music industry and also happens to be one of our customers! Here are some snaps from the day! 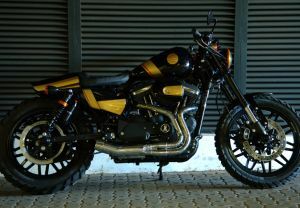 Battle of the Kings 3: H-D® Durban's Entry! For this build, we intentionally didn’t want to restrict ourselves to one style, as we wished for it to appeal to a broader audience. We derived inspiration from various styles: café racer, scrambler & bobber. 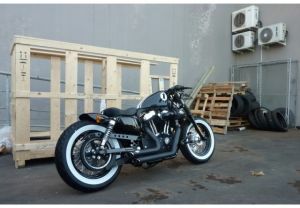 In “BEEFING” the Sportster® up, we opted for a bigger fuel tank that was specifically designed for this build. 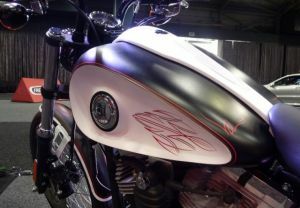 The side covers and rear fender are custom made and were flared out to give the bike a more menacing stance. The pipes were custom made and gives a real nice industrial feel. They will turn colour as the bike gets ridden, pay close attention to this detail and the welding. copper accents with the drag style handlebar and headlamp trim ring. 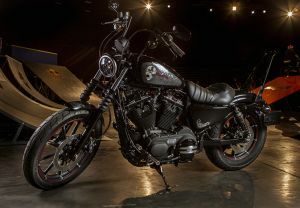 H-D® Durban's First Annual Tattoo Convention! We had an absolute blast hosting our very first Tattoo Convention on 26th November 2016! Thank you so much to every tattoo studio, sponsor and customer that contributed to the success of the day! 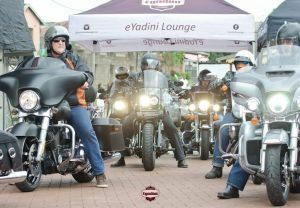 Ride Out to Eyadini Lounge! Thank you to Eyadini Lounge for most of the images in this album and to our friend Zakes Bantwini for joining us! Also, a massive thank-you to every customer that rode with us to this incredible shisa nyama experience! A few shots of the DUMA Rally 2016! Thank you to everyone that took pics including staff & Hildegard Bolton. 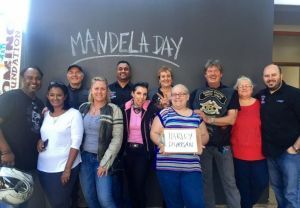 This Mandela Day, we had loads of fun partnering up with the Domino Foundation to feed our less fortunate brothers and sisters! 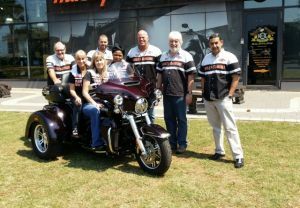 Harley-Davidson® Durban hosted "Havana Days" on 25th June 2016.
partied it up, Cuban style! 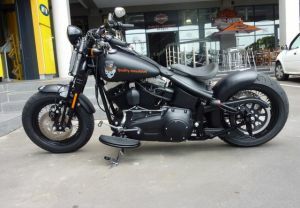 The bikes are built and our Custom King has gone into battle with 9 other Harley-Davidson® dealerships across Southern Africa. 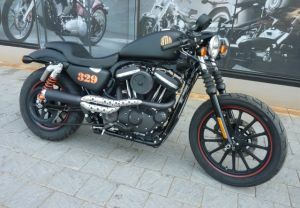 We were challenged to customise an 883 Iron™ motorcycle and only the best of the best will be crowned! How good is our custom king? You be the judge. Bikes, Babes & Hot-Rods Party! Thank you so much to everyone that came through to party with us for this event, we had an absolute blast! Thank you to every person that bought through beautiful cars & bikes to display and also to everyone involved in creating a great atmosphere: Gavin Ferguson for his epic performance, Craft Republic for the craft beer, Kiehls Body, Skin and Haircare for the goodie bags, H.O.G. Diner for the most delicious Cuban sandwiches and last but not least, our 2 crazy babes for the day: Kelly & Jo! 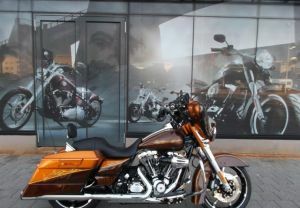 CVO™ Pro Street Breakout® Motorcycle! One look at the CVO™ Pro Street Breakout® and you’ll see a combination of race-inspired style and custom detailing unlike anything that’s ever rolled out of a factory and onto the street. The 110 cubic inch engine, the fat rear tyre, speed screen, chin spoiler and aggressive stance scream pure American muscle. The finishes scream pure custom. From the premium paint to the controls to the finishes on the metal, we sweat every detail. 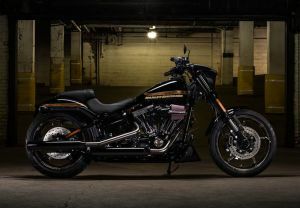 In 1977, when the first Harley-Davidson® Low Rider® rolled off the line, it pushed the limits of factory custom design to a place they’d never been. Now, the Low Rider® S is taking the genre to a raw and powerful new edge. 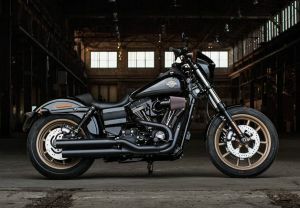 We mounted our Screamin’ Eagle Twin Cam 110™engine in a nimble Dyna chassis and installed a heavy breather intake. 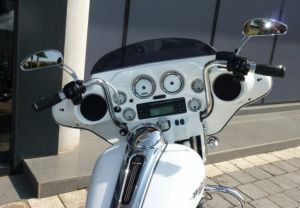 We added tall bars, mid-mount controls and a new seat that position arms up and out and feet square, along with premium front and rear suspension, giving the rider everything required to put the massive power to good use. We stripped down and blacked-out the rest with gold accents like the tank badge and pinstripe and matching split five-spoke cast aluminum wheels. Get behind the fixed speed screen and hang on. On 28th November 2015, we hosted a fundraiser for CHOC (an organisation that helps children with cancer). The theme was Superheroes & Villains and we came to work dressed to the nines in superhero & villain attire! 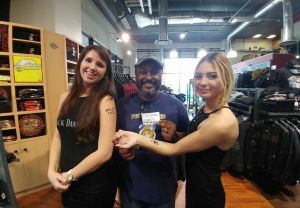 We had a bikini bike wash, rocking live tunes by Gavin Ferguson and FREE mini bunny chows from the H.O.G. Diner upstairs! 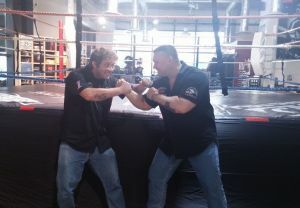 The always-generous folks from Electric Eye Tattoo Studio donated a R1000 tattoo voucher to be raffled off as well. A big thank-you to the CHOC Cows Durban Herd for being "udderly" amazing while sweating their butts off in their cow onesies & to Serenity Hair, Nails & Beauty Salon for shaving heads and donating ALL proceeds to CHOC! Last but not least - thank you to everyone that came through to join us for a great cause. On the 31st of Oct 2015, we hosted a fundraiser for CANSA at our dealership in Durban. Riders of all bike brands were invited to join in on the fun and we were blown away by the AWESOME support from far and wide. Thank you so much to every person that came through and contributed to this day being the success that it was! 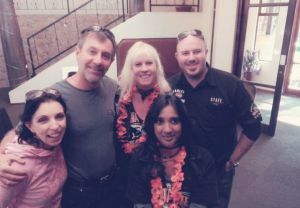 Harley-Davidson® Durban had a AWESOME Hollywood-inspired party on the 29th August 2015. The theme entailed dressing up as your favorite Hollywood icon, or simply to dress red-carpet-ready. 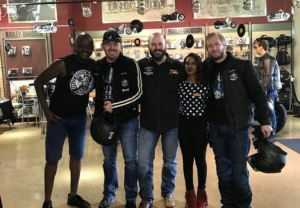 First prize was a R1000 tattoo voucher from our friends at Electric Eye Tattoo Studio and Harley® Durban matched that with a R1000 donation to a charity of the winner's choice! Second & third runners up were spoiled with wonderful hampers from Jack Daniels! 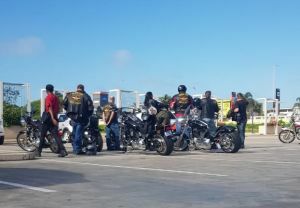 To top it all off, we were treated to a live performance by The Kickstands while munching on fresh, complimentary popcorn. We look forward to seeing YOU at our next event! Thank you so much to everyone who joined in on our Pin-ups & Sailors Party and contributed to making it such an AWESOME day! 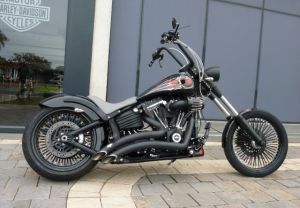 Custom paint work, Agitator wheels, Bat wing bars, Tribal mirrors, Sabble bag extensions, Sissy bar, Pro tuner, Heavy breather and S/E exhausts.